 Race provides deep consumer insight and technological tools to connect clients with their customers for profitable business relationships. Using innovative tools and technologies, we capture all customer interactions to provide in-depth analysis of each customer relationship. We incorporate our team’s business knowledge and expertise in consumer data and analytics, information technology, data integration, and consulting solutions for marketing across digital and traditional channels. Management and monitoring of all behaviour over the customer lifecycle via all data sources: transactions, preferences, responses, social media, website, mobile apps, customer centre, contests. Marketing intelligence tools that facilitate data visualization, profiling, segmenting, and modelling and enable flexible reporting of data-driven results. Deployment of trigger-based customer interaction campaigns based on customer behaviour, using marketing intelligence insights to optimize messaging and delivery. Lead management, lifecycle management, loyalty management, sales optimization. Providing pre-designed, highly variable consumer messaging pathways and underlying business rules for communication deployment, allowing maximum flexibility at minimal cost. Content management, multi-channel trigger-based communications. Expertise in designing and managing all email and CRM systems. Experience in servicing high-volume enterprise clients who need to communicate with their audience in a timely and highly personalized way.